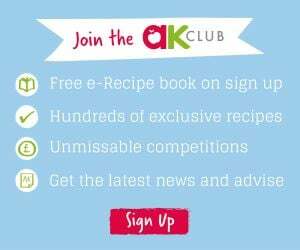 As the kids burst with excitement in the lead up to Christmas, it’s an opportune time to get your mealtimes bursting with flavour and your picky eaters experimenting with new foods. After all, they want to be on Santa’s ‘nice’ list, right? At around 18 months, or even earlier, children start asserting their growing independence. Food is a really easy way for them to take control, and rather than fill their tummies, they’d rather decorate the floor and walls with mummy’s Bolognese. With kids wanting to call the food shots, the Christmas buffet makes for the perfect opportunity to sneakily influence their food choices. You serve up a healthy mix of colourful, nutritious ingredients, and they get to stack their plates at a pace set by them. And if they want to dine cross-legged under the party table with other pint-sized picky eaters, then let them scoff away! Even the fussiest of eaters will want to poke their heads up for a few seconds! Toddlers like to know what they’re eating. It’s a fair bet that your youngster prefers foods that they are familiar with. So, with a buffet style spread and without the pressure to eat, they get to look at the food for a while before they even consider whether to try it. And so it starts to become familiar. Decorate the table, too, with whatever looks bright and colourful – the more interesting the food looks, the more your toddler is likely to join in the food fervour. When they are ready, they might pick up a food and put it down again a few times. They might squish or squeeze it. This physical interaction with food is often the first step towards tasting it. Why not get them involved in the prep too? It doesn’t matter how young they are, there’s a job they can do to help. Get them to cut shapes from slices of bread and cheese with cookie cutters to make festive sandwiches. Let them stir, mash and spread. Put them in charge of arranging the food on plates is the perfect task for tiny hands. Or why not task your little elves with adding their own healthy Piccolo cherry tomatoes® Christmas decorations to my Christmas Pizza Wreath. Children also often like to eat with their fingers, so Christmas canapes are the ideal opportunity to serve-up new foods. Never underestimate the power of an older cousin, friend, neighbour or sibling to inspire your tot to try something new. Youngsters learn all the time from other children, so if you have friends with older kids who tuck into whatever is on offer, invite them round. Simply by watching other children and adults eating, your little one will see for himself that it tastes good, and want to try it himself. 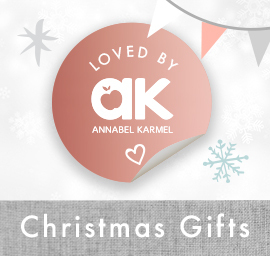 Christmas gatherings are the cherry on the cake for kids; the chance to show off their sack-full of toys. Factor this into your timings and allow them to play first so that by the time you bring the food out, your child is hungry. This also means that you’re able to keep a close eye on what they are putting on their plate. Be careful that, just because you’re watching them, you don’t provide a running commentary on what they’re doing. Don’t try to encourage them to eat – that will slowly happen all on its own – but do offer praise when they try something new. 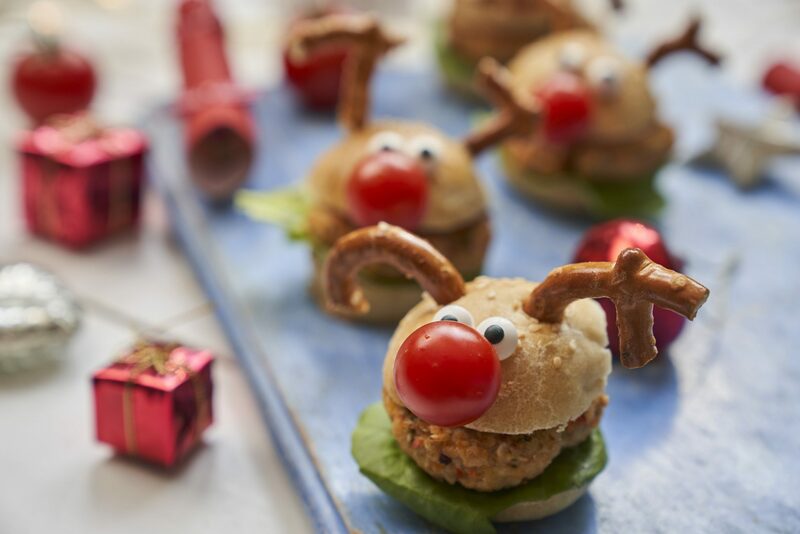 The best thing you can do is try that Rudolph Turkey Burger yourself, smile and share how great it tastes! 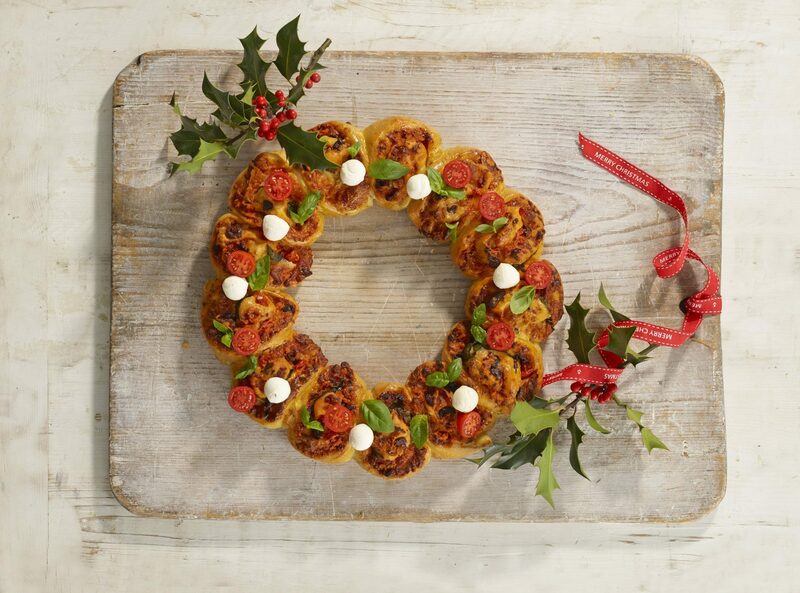 Festive Puff Pizzas. 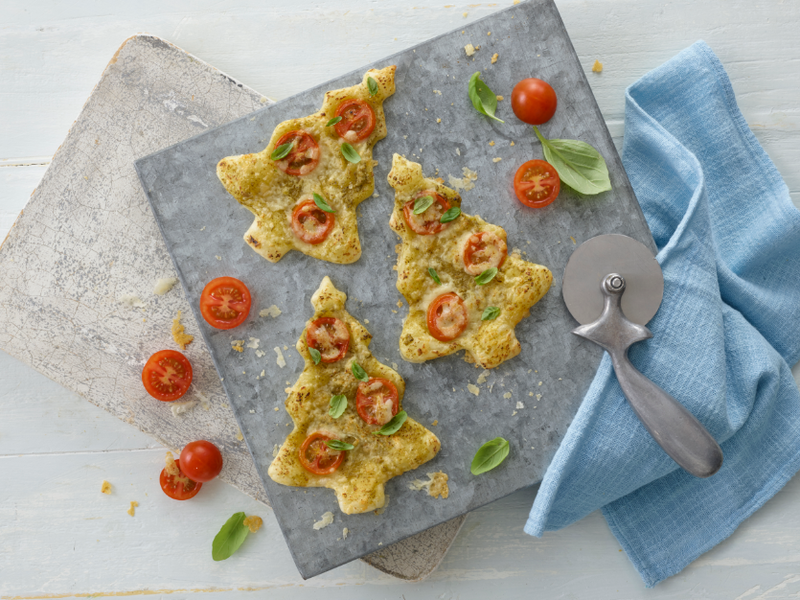 With Piccolo cherry tomatoes® acting as baubles, these are perfect to re-fuel after an afternoon of carol singing, game playing and present opening. Rudolph Baked Potatoes. 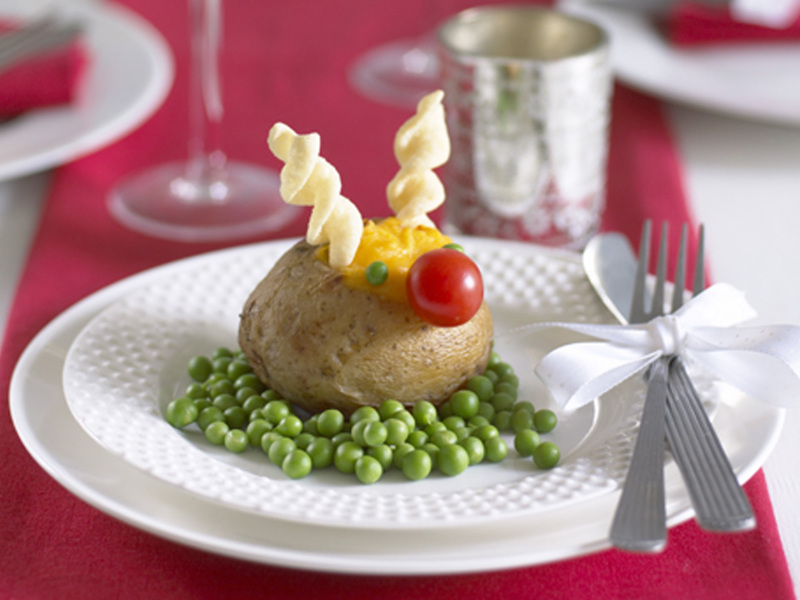 Decorate baked potatoes to look like Rudolph with a Piccolo cherry tomato® for the nose and pretzels or twirly crisps for antlers. Cherry Tomato & Cheese Christmas Tree. 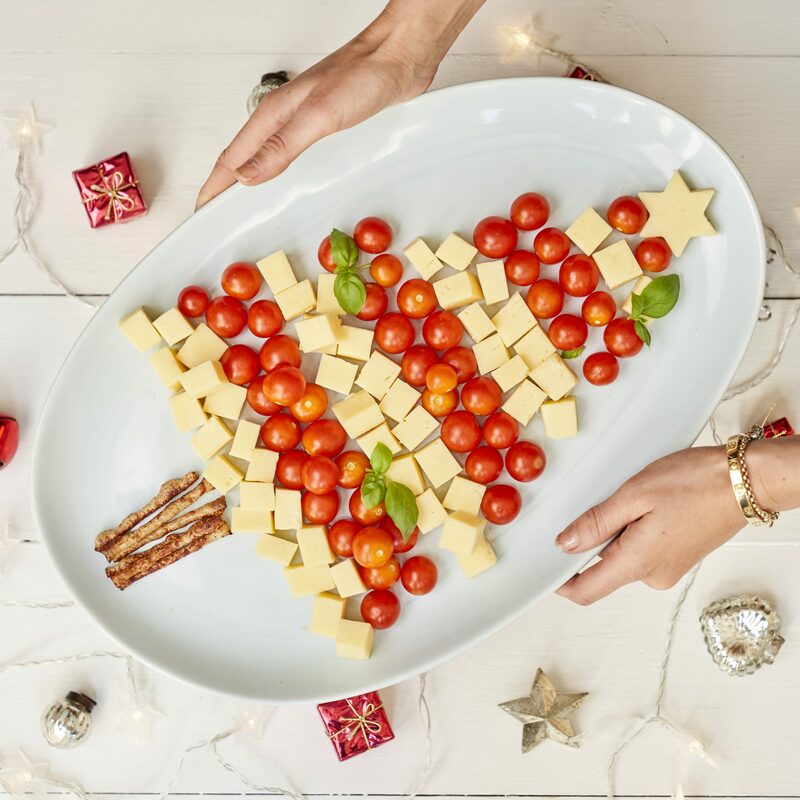 Use Cheddar cheese squares and Piccolo cherry tomatoes® to create a Christmas Tree on a serving platter – will only take minutes to assemble, but will make a big impact when the guest arrive hungry on Christmas day!